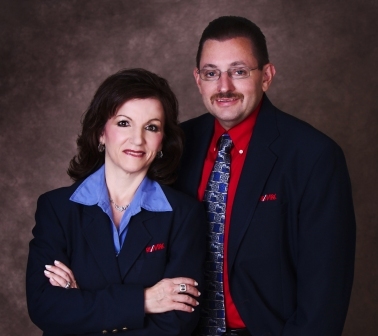 The Tim Mason Team is a professional real estate team consisting of Husband and Wife Tim & Jan Mason. The Masons have been in the real estate business since 1989 and have the expertise to assist you in your real estate needs. The Masons consistently rank in the top 2% of agents in the entire Southwest Indiana Board of REALTORS® in production. They have won several awards from RE/MAX, including the Platinum sales production award several years in a row for residential and the top Commercial Team in 2013 and 2014. They were awarded the Lifetime achievement award in 2014 for career sales. Also, Tim was awarded the Realtor good neighbor award of the Southwest Indiana Association for his work not only in the REALTORS® association, but being very involved in the community and always giving back. The Tim Mason Team is very unique in that they have expertise in Residential, Commercial and Farms. Both have the Accredited Buyers Representative (ABR), Jan is an Accredited Staging Professional (ASP), Tim is an Accredited Commercial Professional (ACP), a member of CCIM, commercial organization and REALTORS® Land Institute. Tim is also an exclusive partner in the Land Leader organization, specializing in rural properties and farms. They not only hold these designations, their productivity is proven; selling several million dollars of real estate in each category per year. Princeton, Fort Branch, Haubstadt, Oakland City, Evansville, Fort Branch, Newburgh, Poseyville, Owensville, Darmstadt, Elberfeld, Boonville, Chandler, & more. Children’s Miracle Network, Salvation Army, Susan Komen Race for the Cure, Holly’s House, Evansville Habitat for Humanity, Gibson County Habitat for Humanity. General Baptist Church –Deacon, Church Board, Building Committee.